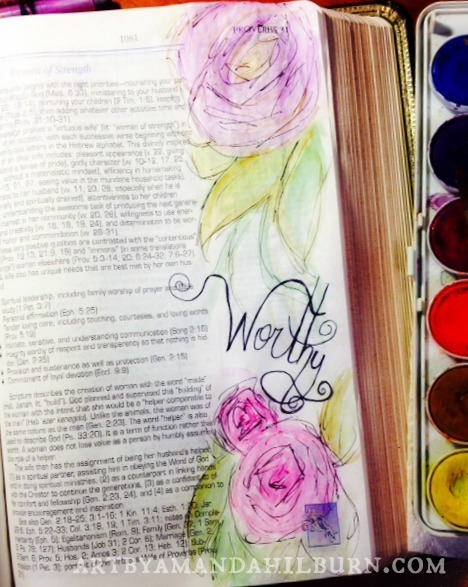 I recently stumbled across some interesting photos on Pinterest about Bible journaling. 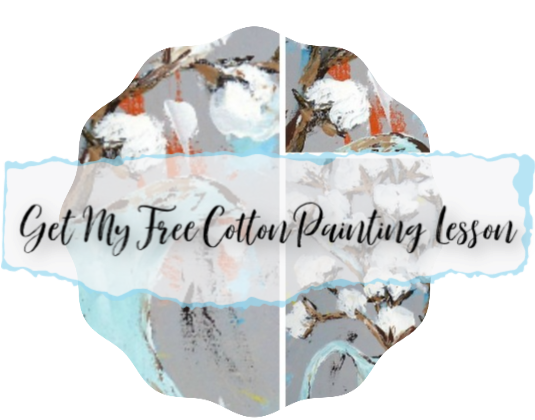 Being an artist and a Christian, this idea was sooooo exciting to me! I have been doing a little studying, experimenting, and reading, and I absolutely LOVE the things that I am finding! Here are some reasons that I think this is a great new (or new to me) trend. 1. Well…actually painting in Bibles is not something new. Illuminated texts were being created in the Middle Ages. Beautiful illustrations in gold, silver, and paints of different kinds were created and cherished. The illustrations may have actually helped to preserve ancient documents because they made the books more valuable to some people and thus better protected. 2. It makes your favorite passages stand out on the page and makes you think about it…a LOT. Think of it as an exaggerated form of highlighting and note taking. It will cause the creator of the painting to meditate on the passage of choice and think of creative ways to illustrate it. 3. It’s a great way for those who may be more visual learners to hide God’s Word in their hearts. 4. It may encourage some who do not regularly read their Bibles to begin doing just that! If there is ANYTHING that this world needs today it is more people who are seriously studying their Bibles! 5. If shared with others on social media, blogs, etc., it can encourage others to study, uplift those who are down, rebuke wrong doing, and even teach others how to be saved. How? By sharing God’s Word in a unique way that just might grab someone’s attention. 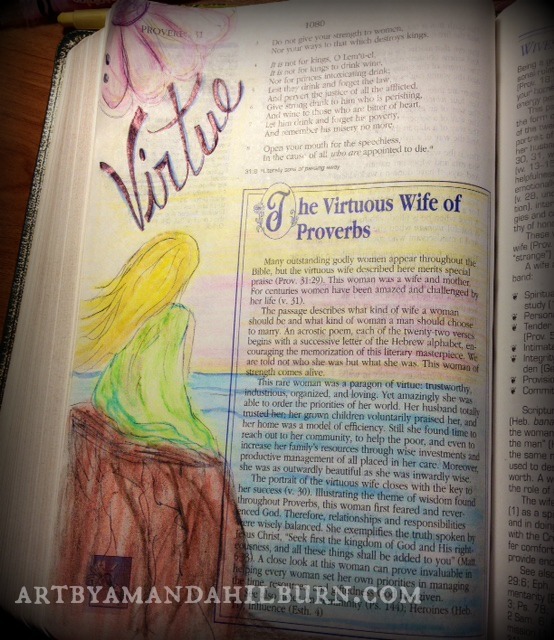 Here are a couple of my illustrations done on pages in my Bible that contain passages about the virtuous woman of Proverbs 31. I am very encouraged by this idea and I hope you are too! If you are interested, I would love for you to journal along with me! All you need is a Bible with wide margins (which are made for taking notes and writing in the Bible, btw), twistable crayons or colored pencils, fine tipped ink pens, and/or watercolor paints. Thank you so much for sharing this concept! Bought my Journaling Bible and will be starting on it soon. I was so happy to find your pin and love this idea.